S 500 x 493px 0.5 Mb. M 1000 x 986px 2 Mb. L 2000 x 1972px 8 Mb. XL 7733 x 7625px 15 Mb. 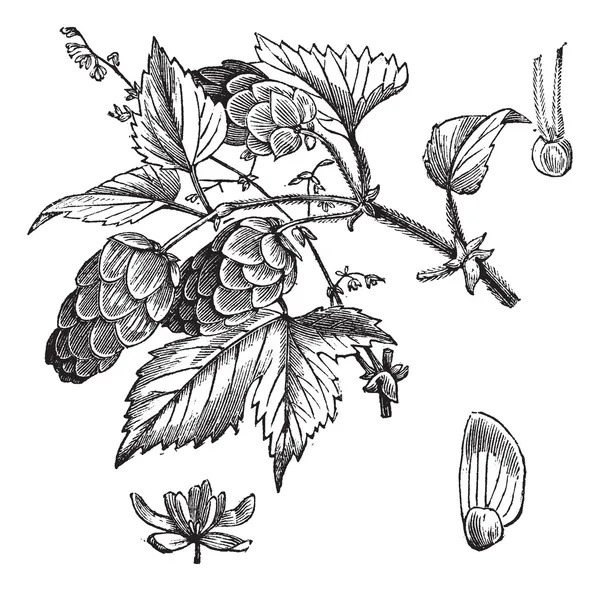 Common hop or Humulus lupulus, vintage engraving. Old engraved illustration of Common hop, leaves and flowers isolated on a white background.